Have you been noticing a lot of flaking, scaling or redness on your skin lately? These are symptoms of severe Dry skin and need immediate attention! Dry skin is usually harmless hence most people just use over the counter products or try brands they see in prominent advertisements to get rid of it. Trying out home remedies that claim to be simple and cost-effective is another trend when it comes to treating dry skin. It is important to understand here that although dry skin isn’t as serious a condition as Acne or Dark spots but experimenting with generic products can wreak havoc for the skin in the long run. Dry skin is usually temporary and is ignored by most people. In case of chronic dry skin, it can become a lifelong condition. Ignoring it or experimenting with generic products can worsen Dry skin and will require expert attention. You can get accurate diagnosis of your condition using the CureSkin app at the comfort of your home. Moisturizers are meant to help with Dry skin but when you pick the wrong one for your skin type, it can actually cause more harm than good. At CureSkin, Skin specialists and dermatologists curate a treatment regimen specifically for your skin type and condition. Also, applying the products at the wrong time can further deteriorate the condition of your skin. Your Dry skin treatment regimen from CureSkin comes with proper instructions on usage and application by specialists to guarantee best results. This will also be accompanied by regular follow-ups from the doctors and 24×7 chat support to keep track of your progress. Open the CureSkin App on your phone. 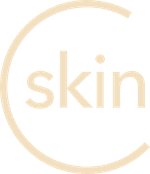 Order your custom-made Dry skin treatment regimen from CureSkin now. Dry skin can often be uncomfortable and unsightly. Get your customized treatment from CureSkin to maintain soft and supple skin throughout!